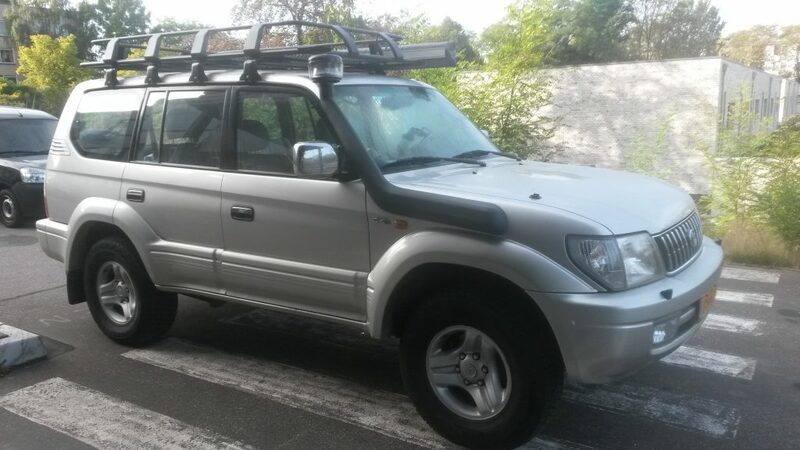 Brutus is the name I gave to my Toyota Landcruiser 90 Executive (KDJ95L or Prado, I don’t really know ). 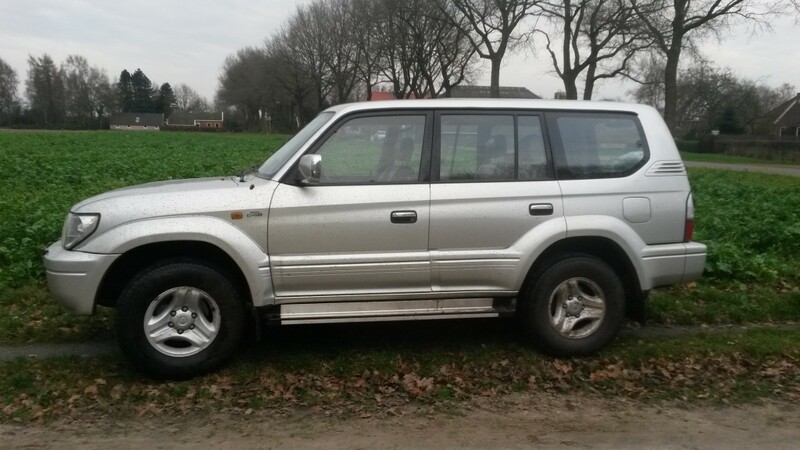 He was built in 2001 after which it drove around for 177.000 km through Germany, Austria, Kuwait, and a huge trip by the previous owners who used it to drive from Rotterdam to Hong Kong through Iran, Kazakhstan, Mongolia, China etc. After this, the car became mine! I got it tested by Dekra before buying. The test showed some minor problems like worn brake disks, a dent here or there, and some damage to the rims. No motoric or chassis problems. The bottom side is really clean and rust free, as is the motor compartment. The previous owners didn’t clean this, so it was nice and dusty, which made it easy to see if the engine was “sweating” oil or not. This was not the case. Brutus has a 163 hp 3.0 turbo diesel engine with an automatic 5-speed transmission. It has a whole bunch of settings such as high and low gearing for changing torque, differential locking for grip on uneven surfaces, pwr mode (“race” setting, that causes shifting at a higher rpm), 2nd (second gear smooth drive off setting), etcetera. 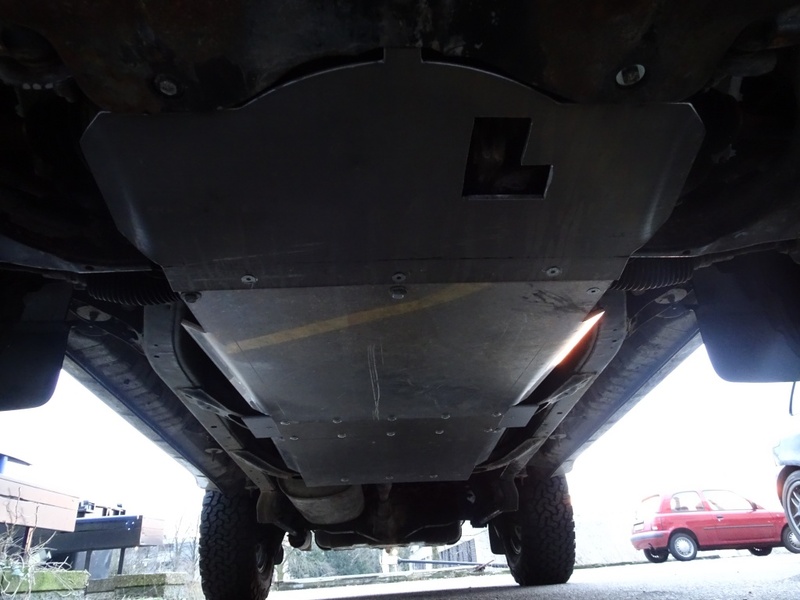 Brutus is fitted with a standard 90 liter fuel tank and an extra filter for dirty, or watered down fuel was installed. It has two brand new identical starter batteries. The airconditioning and seat heaters work fine, which will probably be of great use in the Mongolian desert, and winter landscapes in Russia. A radio was installed with tape and cd changer, and standard speakers. It doesn’t sound very well so, since I’m a music lover, I might upgrade this slightly. After some driving around I had to start thinking about the additions and modifications that I deem necessary for the trip. You can read about that process here. The result of which I will post back here, and on the blog. One of the rear tires was leaking and after inspection it looked like it couldn’t be saved. After this I decided to replace the original summer tires with all-terrain tires, since I will be meeting sand, snow, mud, gravel and the full spectrum of toad types one can come up with. I’ve been upgrading and adding stuff on Brutus ever since I bought him. I installed a diesel heater to give me a couple of hours of warmth without the engine running. I found out that it empties the battery rather quickly, but it was still an interesting project to do. I describe the installation process in a blog post. To be able to haul along a bunch of stuff Brutus was fitted with a roof rack. 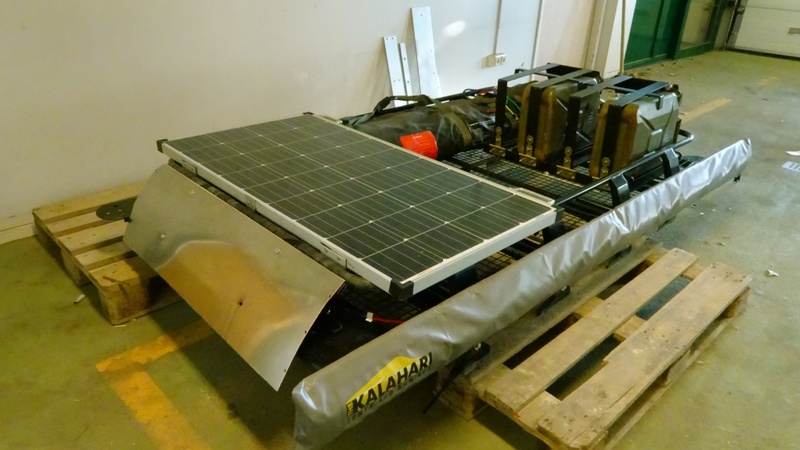 This roof rack will hold the awning, solar panel, the jerrycan holders for 80 liters of extra fuel, the tent and some foldable furniture. Two times I almost drowned Brutus. 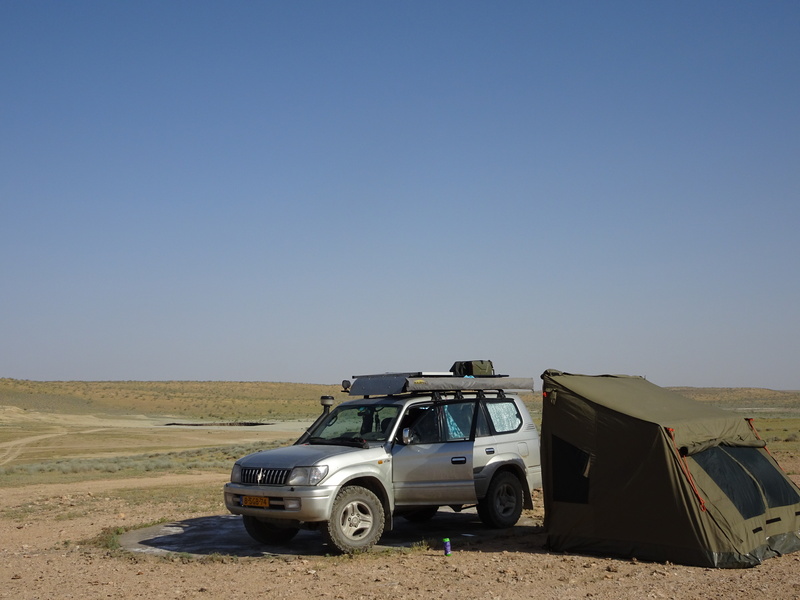 And after a tip of the guy who sold me my tent, who also was a fervent overland traveller, the installation of the snorkel began. It took some time and effort, but I managed to install it pretty well to be honest. Since I will be on some rough and treacherous terrain I decided to install slider plates under the car. This way brutus can handle some more punishment from rocks and mud. The first version of the slider plate didn’t work out because it was too thin and weak. The slider plates 2.0 are made of 8mm aluminium and a bunch of extra steel connector plates. 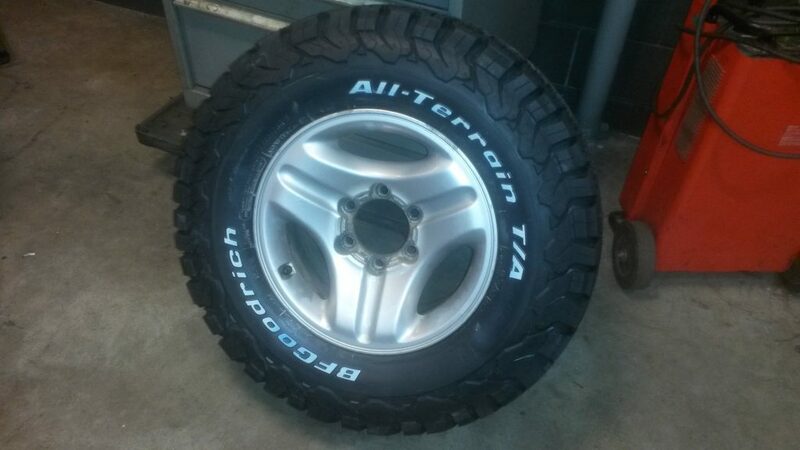 I installed the successor of the famous BF Goodrich All terrain T/A tires, the KO2 edition. These tires are rated as indestructible and very trustworthy. Brutal BF Goodrich tires on my rims. I had high hopes and expectations from this project, but it kind of turned out a bit of a disappointment because it was just too complicated to make everything work. I managed to install a media system and GPS logger, but wasn’t able to get the navigation and the media system to work at the same time. Pingback: My first blog post | To The East! Pingback: A nostalgic roadtrip to Sweden and Norway | Eastward!